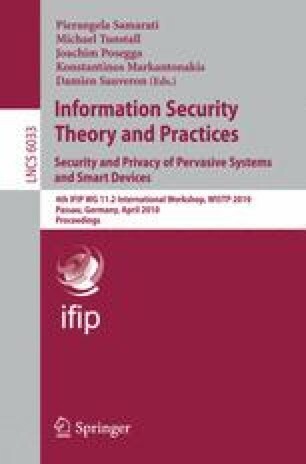 In this paper we present a smart card implementation of the quantum computer resistant McEliece Public Key Cryptosystem (PKC) on an Infineon SLE76 chip. We describe the main features of the implementation which focuses on performance optimization. We give the resource demands and timings for two sets of security parameters, the higher one being in the secure domain. The timings suggest the usability of the implementation for certain real world applications. Infineon Technologies AG: SLE76 Product Data Sheet, http://www.infineon.com/cms/de/product/channel.html?channel=db3a3043156fd57301161520ab8b1c4c.